Nathan Morris, Shawn Stockman, Wanya Morris and former member Michael McCary of Boyz II Men pose for photos during a ceremony marking the band’s Star on Hollywood Boulevard on Thursday (January 5th) in California. The group is pictured with producers Jimmy Jam, Terry Lewis, artist Michael Bivins and singer/songwriter Babyface. 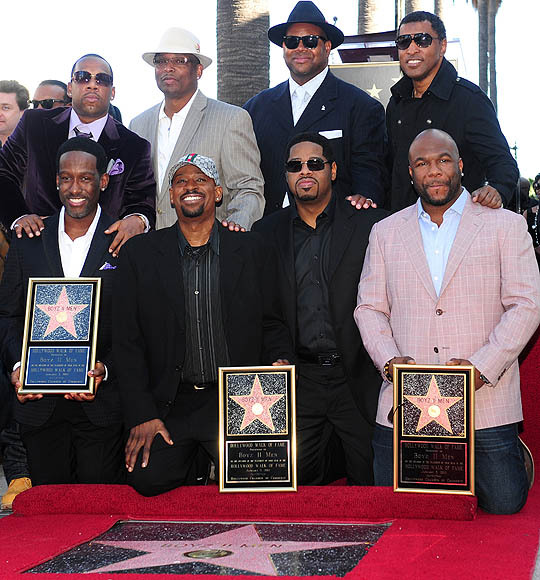 The best-selling R&B group of all time received the first Hollywood Star of 2012 on Hollywood’s Walk of Fame, and the 2,456th Star of all time as they celebrate their 20th anniversary with an astounding 60 million albums sold.